Our Suppliers of beautiful, quality fabrics and products are listed here. Due to our extensive range of products and the support and variety of our suppliers throughout Ireland, The U.K., Europe and The States we can offer our clients the option to complete their full interior schemes within our showrooms. All with guidance by our experienced in-house design consultants. 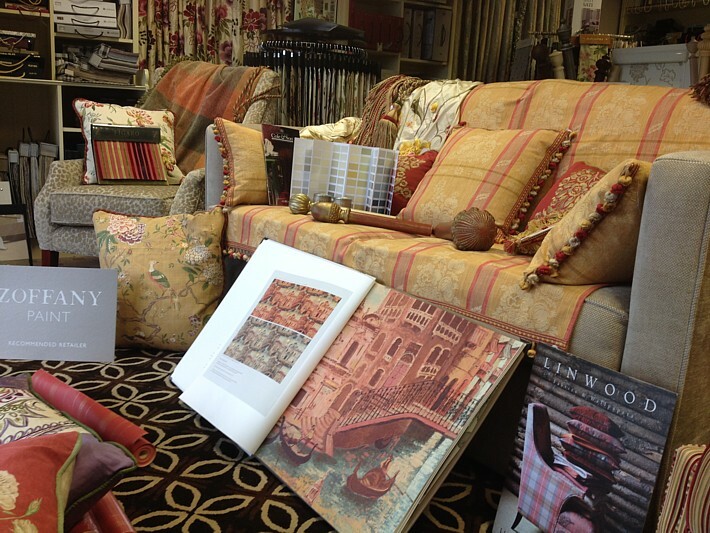 We supply a full range of fabrics, wallpaper, paints, furniture, trimmings, carpets, lighting and accessories. Please follow the links below to visit the sites of our suppliers.